When I switched back to the Mac for most of my work a couple of months ago, one of the biggest selling points of macOS was window management. The differences between macOS and iOS make comparing them difficult, but I've learned to prefer the way the Mac presents information to the iPad's split screen functionality. That’s not to say, however, that managing windows in macOS is perfect. 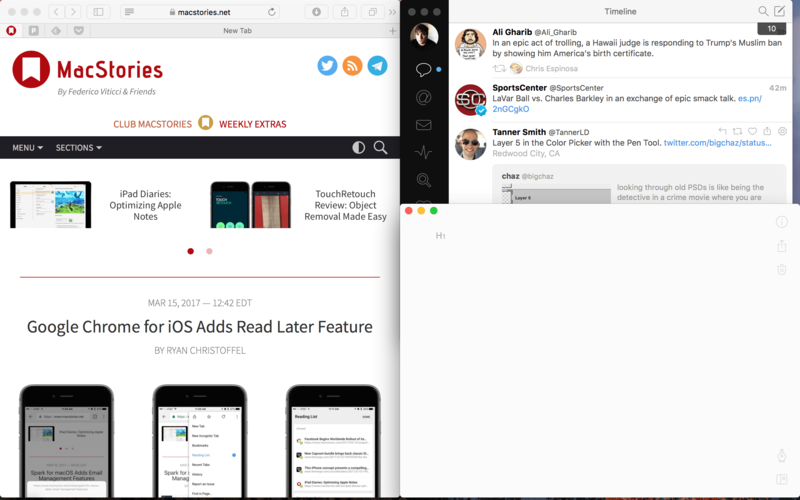 While macOS's Split View makes for a better multitasking experience, it can fall flat when working in three, four, or five apps at once. 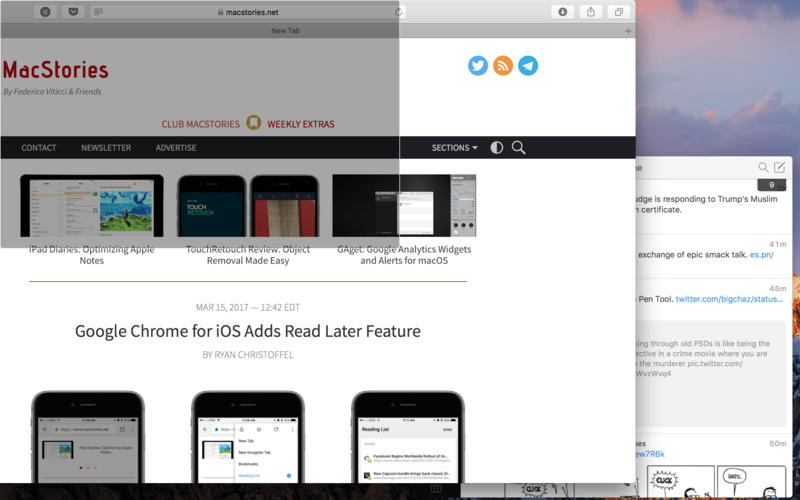 Magnet, a Mac app by developer CrowdCafé, is what built-in window management should be like on the Mac. It’s a smart, robust tool that will make your desktop look better than ever. In my day-to-day Mac usage, I switch between Safari, Bear, Astro (my current email client of choice), Messages, Slack, and Tweetbot. Clicking through these windows takes time, but more importantly, using several different apps doesn't use my screen real estate efficiently. With Magnet, I can snap Safari into the left half of the screen, assign Bear to the bottom right corner, and move Tweetbot to the top right. Suddenly, my workspace tidied up nicely, without the need for manually resizing windows. What’s exceptional about Magnet, is the included keyboard shortcuts that can position your windows automatically. Using the Control, Option, and arrow keys in combination with others, you can organize your apps without ever moving the cursor. For the most part, I’ve been really pleased with how Magnet has worked for me. Certain apps, like the App Store or Tweetbot, which define minimum window widths, don’t always play nicely with Magnet, taking up more space than you’d like to allot. Even with these stubborn windows, though it’s likely that you’ll get the same effect you’re looking for – easier access to your windows without having to dig through a stack. At $0.99, which is 80% off Magnet’s usual price, Magnet is an absolute steal right now. When it goes back up to its normal price of $4.99, I’d still recommend it – but of course, if you have any interest at all, now’s the time to pick it up in the App Store.